Gourmet Mexican chocolate: it's not just about stuffing more in your gawper. It's about savoring a little and learning something too. We got you covered. Gourmet Mexican chocolate can be gritty, primitive, illustrious, decadent or even interesting. 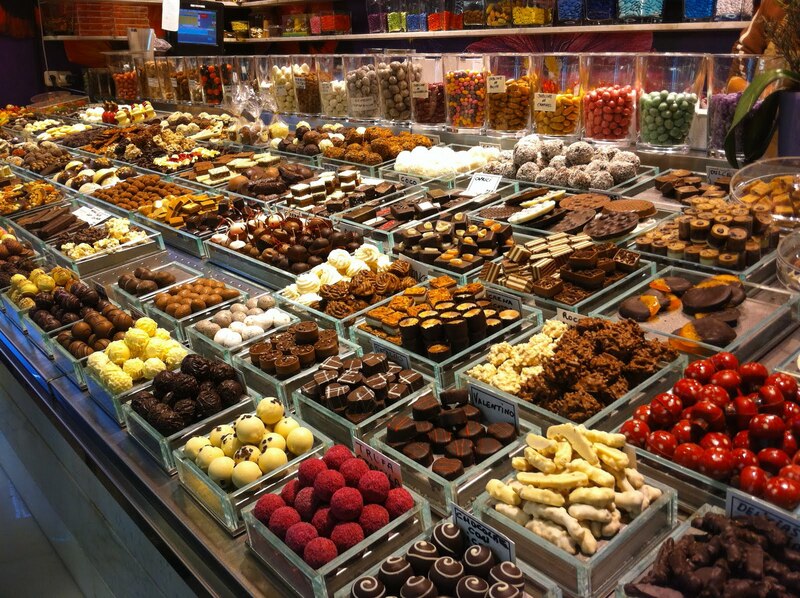 But all of it’s tied to a long legacy of chocolate for medicine, chocolate for a treatand chocolate for living better. No matter what kind of gourmet Mexican chocolate you’re ultimately after, there’s something outstanding out there, and we’re going to help you find it. This small yet vast boutique/confectionary/store is one of the main spots for any chocolate connoisseur, since it has a huge variety of cocoa based treats that range from classics such as dark or milk chocolate bars, macaroons with blackberry, chocolate covered marshmallows and truffles, to more exotic products such as mezcal imbued chocolate and a sublime recipe for “diamond cookies”, prepared with the best cocoa beans. Open: Monday-Saturday from 11:00 to 21:00 hrs. Sundays from 11:00 to 18:00 hrs. This confectionary, patisserie and chocolate shop has been catering for the very best events in Polanco since it’s known as the best and finest patisserie for all sorts of events. 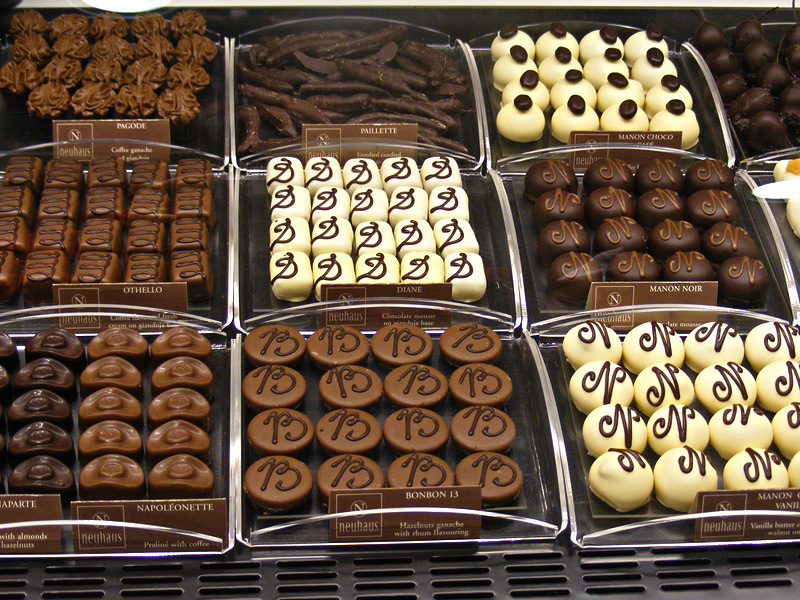 It offers a wide variety of packages resembling the style of a Belgian chocolate factory, the company’s distinctive seal: cupcakes, pies, biscuits, cakes, and personalized chocolates for any occasion, warm or cold liquid chocolate among other seductive souvenirs that you can take home or have arranged as gifts. All the products are always in high demand, so we recommend you make your order one week in advance. Open: Monday-Sunday: from 9:30 to 19:00 hrs. 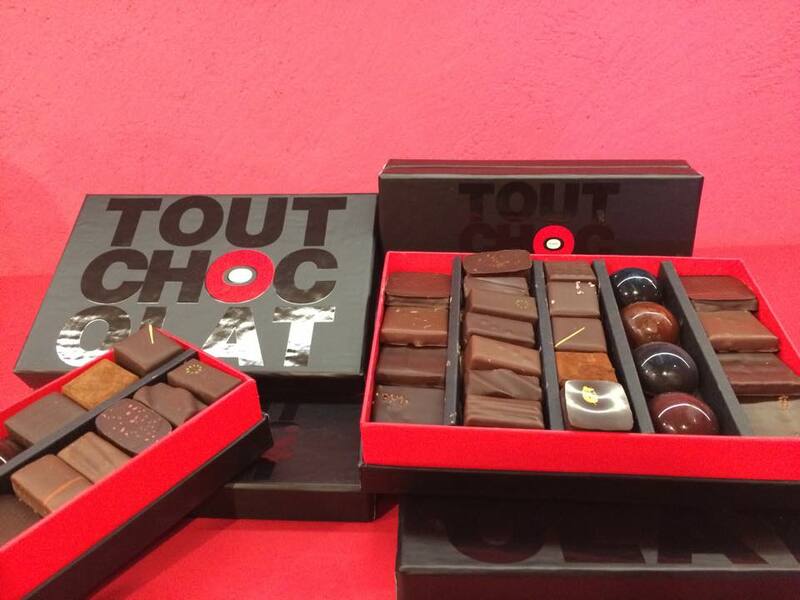 The great success of this chocolate shop is linked to the experimentation of flavors, textures and shapes behind the elaboration of its wonderful chocolate, since cocoa beans are fused with just about anything that will highlight their flavor. 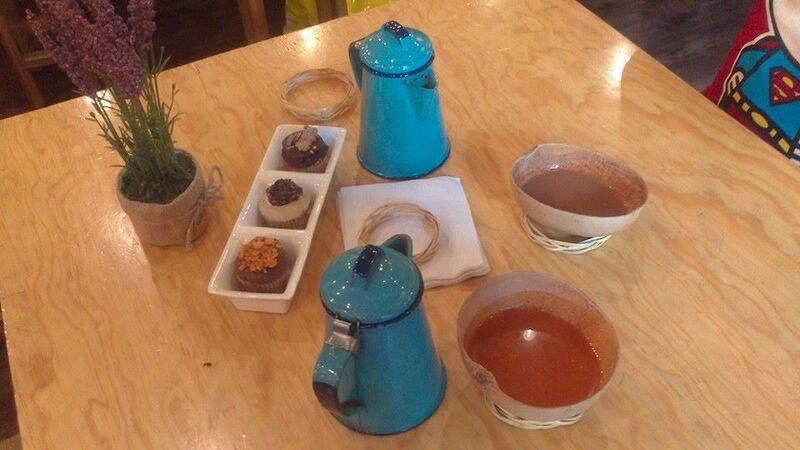 “Evolutionary Mexican Chocolate shop” is how they describe their style, which enables them to go beyond the conventional and to bet on the innovational, creating real treats such as chocolate with goat’s cheese, chamoy marshmallow, delicious cocoa horchata or their fabulous pozol. All of their products are made with 100% Mexican cocoa. 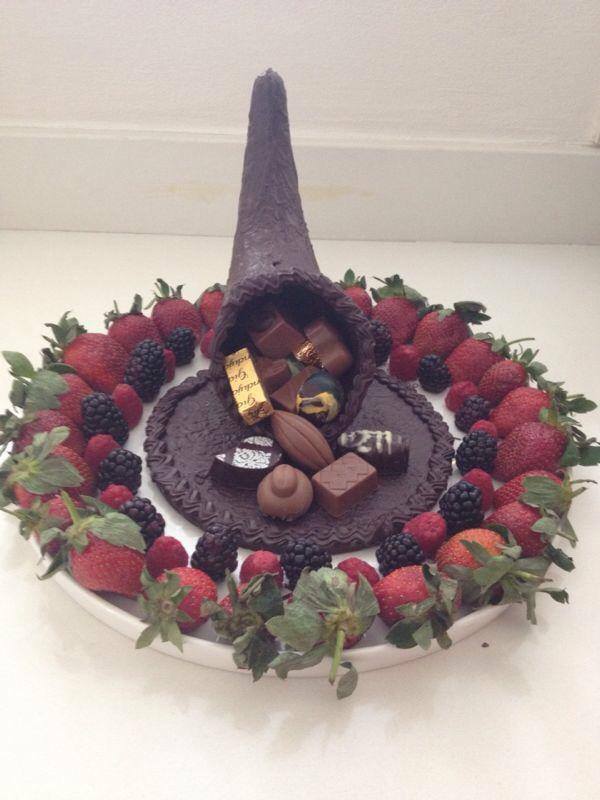 This tiny locale is an authentic chocolate paradise immerse in a corner of Plaza Cuicuilco. The store’s size is by no means a reflection on its variety of products, since you’ll see chocolate overflowing every shelf from the moment you step inside: sweet, savory and bitter treats. The locale’s main features are the chocolate products made with beans from Chiapas and Tabasco that have an unparalleled organic essence. Their catalogue includes dark, white, bitter, milk, spiked and sugarless chocolate elaborated in the most elegant presentations. 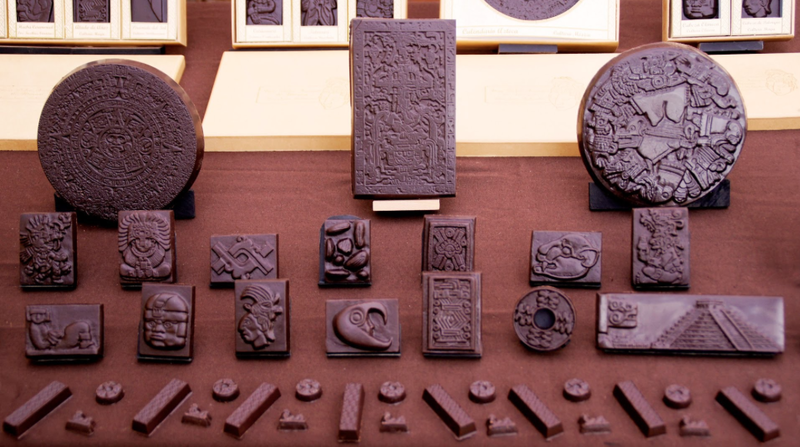 Perhaps the most traditional chocolate makers, since they have combined many different design elements such as sculpture and carving with gastronomy. Its aspirations go beyond sales, since the company’s main concern is to educate about indigenous civilisations such as the Aztecs, Mayans, Olmecs, Zapoteca, Huasteca through exact chocolate replicas of their most important cultural remains. The cocoa beans they use for their products come from Tabasco, Chiapas and Oaxaca. The replicas, made from original INAH relics, focus on deities, monuments and archaic objects, and each one is literally wrapped with information about its historical context.